With Jared Polis and Democrats set to take over (shiver) the governing of our state, radical environmentalists aren’t even trying to tread lightly about their intentions to cripple our energy economy. In fact, they’re sort of bragging about it, in an extortionist, blackmailish kind of way. Colorado Rising says they are already up and running with another setback measure for the 2020 ballot, just like the one voters soundly rejected about five minutes ago. That is, unless Polis cracks the whip, as they’re also demanding, and bids the legislature or local lawmakers do it for them. The only thing that surprises us, is that the enviros are coming so late to the game. Polis said in interviews after the election the only choice energy will have under his reign is to spend a fortune fighting ballot measures to block the overreaching setbacks radicals demand, or sit down with lawmakers and agree to overreaching setbacks. We’re not sure if that play fits into the extortion, or blackmail category. 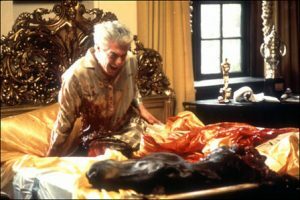 Polis is starting to sound like Marlon Brando in “The Godfather,” making offers no one can refuse least they wake up in bed with a dead horse head. Or worse.